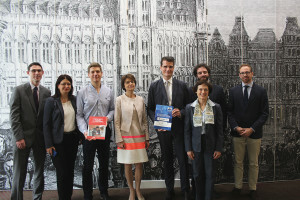 In the framework of their fourth EU Social Dialogue Work Programme 2012-2014, the European social partners ETUC, BusinessEurope, CEEP and SMEunited (formerly called UEAPME) have agreed to continue their joint activities on capacity building of social partner organisations. On this basis, and taking into account lessons learned over ten years experience of their resource centre activities, the European social partners (EU SP) would like to further improve existing tools aimed at helping their affiliates to be more effective in the EU social dialogue (EU SD) through joint activities addressed to their respective constituencies. The EU SPs have identified a need to strengthen the link between the EU social dialogue and national social dialogues. The aim is to create better synergies between the European social dialogue and national social dialogues. Furthermore in these integrated projects EU Social partners will focus on two specific dimensions: ESF capacity building and training for social partners in candidate countries. In parallel, the objective is also to foster the exchange of practices and experiences between all member states and candidate countries as this has proved to be a very effective way of improving social partners‟ understanding and participation in the EU social dialogue in all countries. 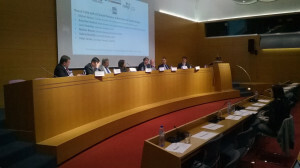 In 2012, four joint seminars were organised by the European Social Partners BusinessEurope, CEEP, SMEunited and ETUC with the aim to look at the specific situation in certain EU Member States in which a lack of or insufficient implementation of autonomous agreements was observed in the past. In 2013, three subsequent seminars were organised on the promotion of EU SD instruments, including the issue of implementation/follow-up of EU SD instruments, capacity building and the role of social partners in economic governance. Building upon this past experience and the positive results obtained, the European social partners have decided to continue their endeavours to promote and reinforce of the European social dialogue. Texts discussed during this seminar can be downloaded here.